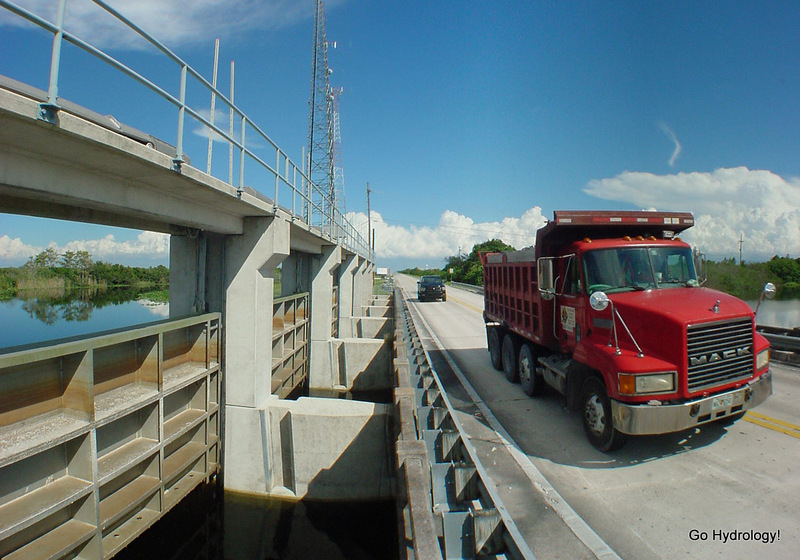 and under the Tamiami Trail. But that's pretty normal for this time of year, too. As you can see in the hydrograph below, inflows through the S-12s into Everglades Nat'l Park -- as graphed as a sum for all four gates -- have touched up near the 90th percentile for this time of year. The long-term median, i.e. since 1993, for mid October is around 2,000 cubic feet per second of flow. The current flow rate through the four gates is fifty percent above that, at 3,200 cubic feet per second. Why are the S-12s higher flow up so much compared to last year? Answer: Water elevations in upstream Water Conservation Area 3A are higher now than a year ago, despite a rainier October last year.